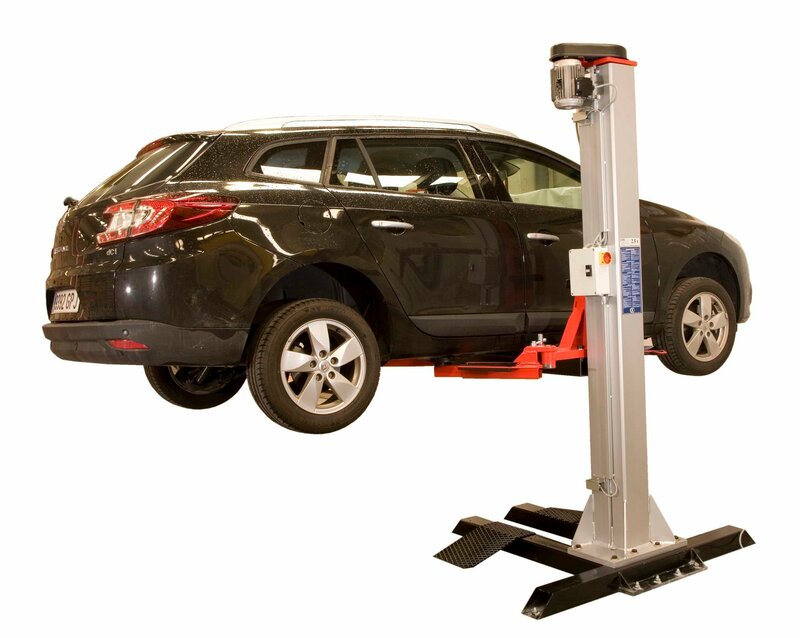 This single post 2.5 tonne capacity lift has been a favourite of ours for many years. Manufactured by Cascos in Spain to the highest standards, this lift is extremely strong in structural quality and has a high quality safety system CE Approved. Ideally suited to the garage with space for a car to stand, but not enough room for a two-post lift. An excellent choice for bodyshops when re-panelling, re-painting or welding repairs etc. The "SlenderTec" profile posts are specially designed and hot-rolled, enable us to build lifts with narrow posts that are more resistant to torsion and flexion than other lifts made with folded sheet metal and similar materials. The SlenderTec technology makes the posts impossible to deform they will always look like they did on the day they were installed. Rubber guards on posts for opening doors. Protection of the spindle thread, prevents user from getting dirty by touching it. Maximised standardised load on arm lifting in any position. 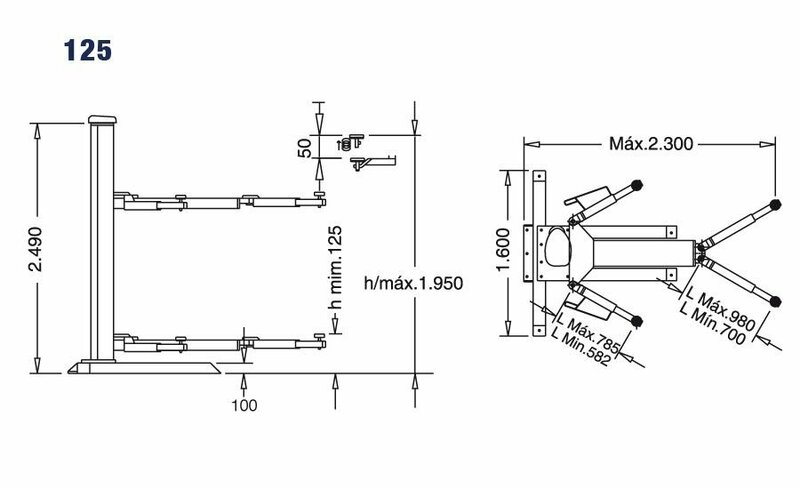 The 125 is designed to withstand the maximum load at any angle of the load or length or extension of the arms. 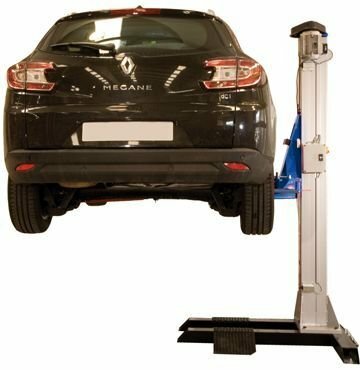 In addition, the arms have safety systems with threaded rods, providing greater positioning possibilities under the vehicle to find the proper lifting points. The diameter of the spindle on this lift is 45 mm, the largest on the market. This dimension causes less friction and, therefore, less wear of the "nut to spindle" assembly. The spindles are cold-rolled not thread cut. This process accredits to the lifts high quality and extended life offered by other manufacturers. The spindles are fully checked individually prior to any assembly commencing. The carriages on this lift are equipped with four high quality steel bearings and reinforced with Nylatron pads for better guidance. Nylatron wears much slow than normal nylon hence extending the working life of the lift.